Where do you like to spend your time? Odds are you don’t want to travel far for the necessities of daily life or entertainment options. Welcome to the neighborhood. When you call Madison home, you can enjoy the quiet spoils of life in the suburbs, while still being within easy access of Nashville and everything the city has to offer. Madison residents enjoy spending time outdoors at Madison Park or the Rivergate Mall. It’s not all fun and games when you live in Madison. We’re also close to the essentials of daily life – including schools, employers, grocery stores, and more. Area employers include Thorntons Gas, Dollar General, Popeye’s, Dupont, and Rivergate Mall. For residents commuting to Nashville, we’re close to US 31 and I-65, which make getting to and from the city convenient. Come visit us! 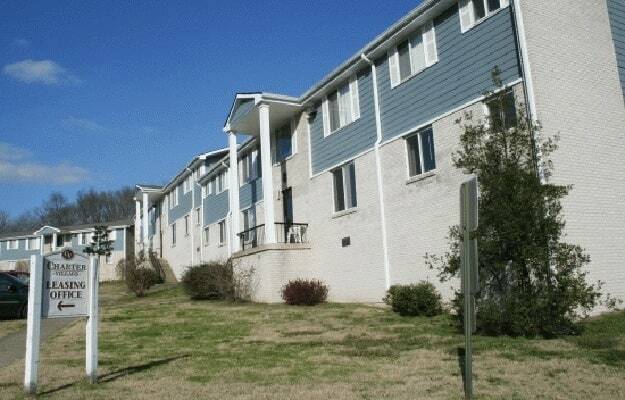 We’d love to show you our 1, 2 & 3 bedroom apartments in Madison. While you’re here, check out the neighborhood for yourself and begin to see your life at Charter Village Apartments.